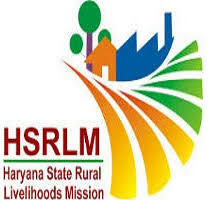 Haryana State Rural Livelihood Mission - HSRLM invited from the desirous and eligible Applicants and residents of India to fill up the vacant posts of State Programme Manager (Inspection, Quality Assurance, and Branding), State Programme Manager (Alumni, Migration, Placement and Retention Tracking), District Programme Managers: District Functional Manager (Livelihoods), District Functional Manager (DDUGKY), District Functional Manager (Financial Inclusion), Block Programme Managers, Accountant, Block Cluster Coordinator, Data Entry Operator in Postal Divisions of Maharashtra Postal Circle. View more information about recruitment for e.g. educational qualification, selection process, age limit, application fees, no of posts, name of posts, how to apply, important dates, important links all are as under. Educational Qualification: Applicants who have completed Graduation, Post Graduation or equivalent from a recognized Institute. Final selection based on Written Examination, Interview.